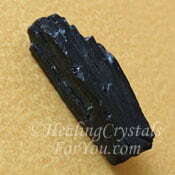 Cookeite are desirable crystals to have in your business as they are known to boost sales. 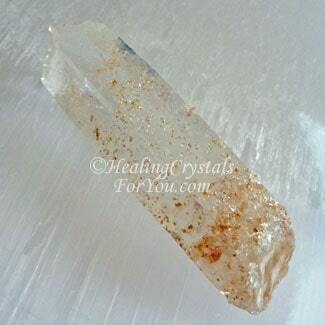 They are helpful crystals to keep on your body for psychic protection as their vibration is valuable to block negative energy from harming you, as they create an impenetrable barrier around you. 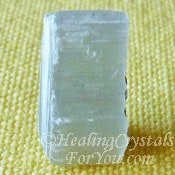 Use them in meditation, as their energy may help to enhance your understanding of any advice you may receive from the spiritual realm, as to how you might utilize information you discover. 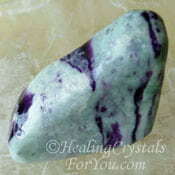 Their energy is known to assist problem solving, and are advantageous to use if you are studying a specific subject. 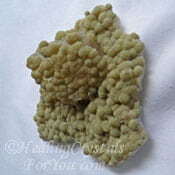 They are useful healing stones, that are quite beneficial if you have trouble sleeping, are known to help those who have allergies, and may aid you if you suffer with muscles spasms. The meaning of the name Cookeite comes from the person after whom it was named Josiah Parsons Cooke, who was an American mineralogist and chemist. 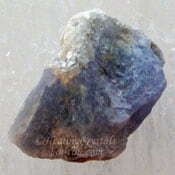 These stones are found in a number of locations in the USA and in Brazil. 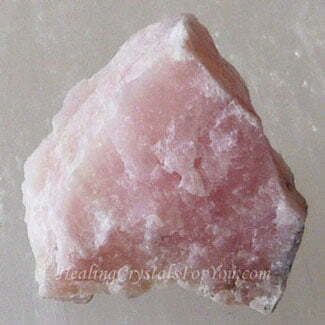 It may be found as an inclusion in quartz as well as forming as aggregates, platy stone and tabular crystals. 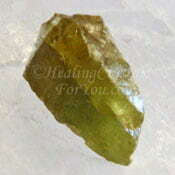 These stones are a chlorite and lithium rich stone and are found in a number of colors with the most common being pink, yellow and green. 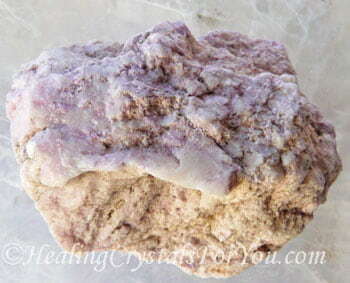 They may also be white, deep rose pink, beige, light blue, purple and brown. 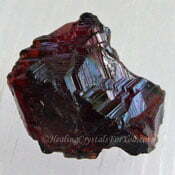 It is known to occur in combination with Tourmaline, Albite, Lepidolite and Quartz. Why Would You Use Cookeite? 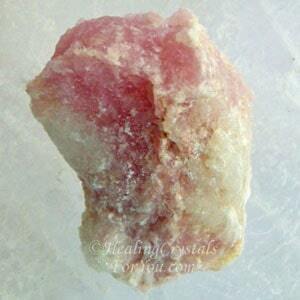 These crystals have a strong energy within the third eye chakra and the crown chakra. 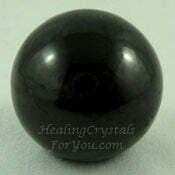 Their vibration is known to be quite effective to help you to solve problems, and may be beneficial to utilize when you are studying material about a specific subject. 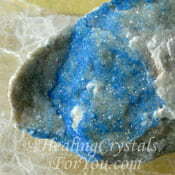 These crystals may also boost the level of guidance coming from spirit as to the use of the information you discover. 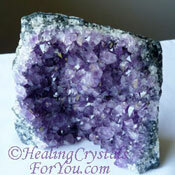 Their energy within the crown chakra is stimulating to the brain, and this is also known to have a healing action. 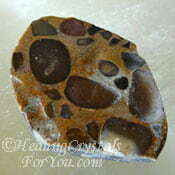 These stones have a soothing energy that may be beneficial to used for meditation. 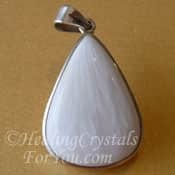 They help you to feel tranquil and calm, which helps you to get into that deep relaxed state needed to achieve what you desire from meditation. 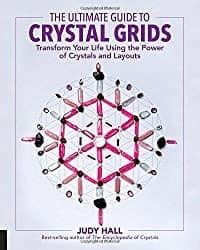 They help you to make a strong spiritual connection, which also assists you to receive information and teaching from spirit guides and other beings in the higher realms. 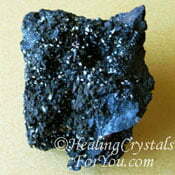 Cookeite crystals are also helpful to use to act as a barrier to prevent psychic attack. 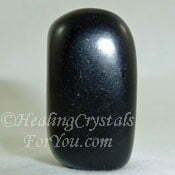 These stones are particularly good psychic protection stones, creating an impenetrable barrier around where they are located. 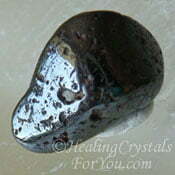 This helps to prevent attack by negative entities or thought forms from another person. 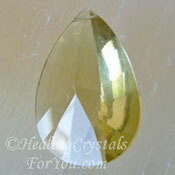 They are known to be highly effective used to grid a room where you regularly meditate. 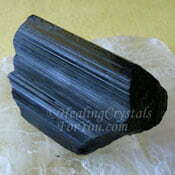 They are known to prevent negative energy from harming you by providing an impenetrable barrier when held. 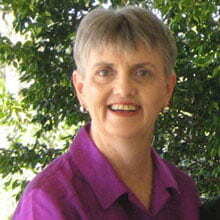 They work well if they are programmed to provide a strong barrier around the room. But even without being programmed they still provide an excellent protective barrier. 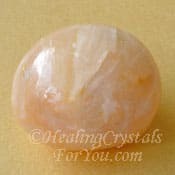 It is also a good stone to keep in your business to boost sales, but will need programming in order to manifest the best results. 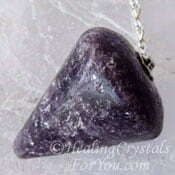 Simply hold it in your hand and make a specific request about that which you desire to have happen. 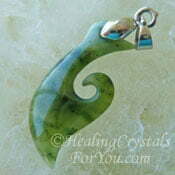 Have you been having trouble getting to sleep? 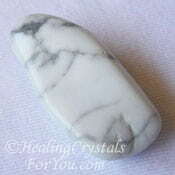 These stones have a lovely calming energy that may assist you for you have been suffering from insomnia. To help you to more easily get to sleep, a good way to use them would be put a piece nearby some time before you wish to go to sleep. 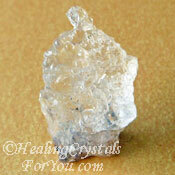 This will allow its energy to have the desired effect. 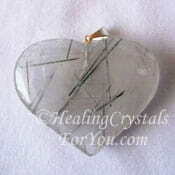 For maximum effectiveness put one or more pieces in the bedroom which will create a tranquil and relax sleeping space. 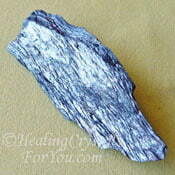 Alternatively place it under the pillow or on the bedside, to help you to remain sleeping once you get to bed. 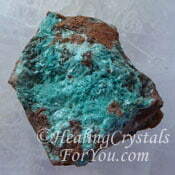 These crystals are also helpful healing stones that are known to be a treatment for muscle spasms. Muscle spasms are a problem that often effects people when sleeping so using them in your sleeping area may also assist this issue. 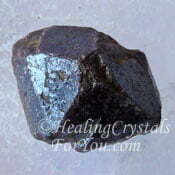 They are known to aid allergies and will combine well with a number of other stones for this purpose. Check combinations further down the page. 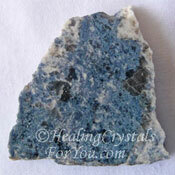 Cookeite In Quartz is also known as Blue Smoke Quartz, as it appears in crystals as a wispy blue inclusion, and although it can be very hard to see it is definitely present in these stones. 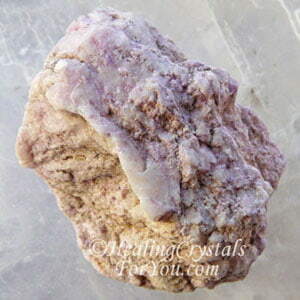 This unusual variety of quartz has a quite strong energy that is excellent used in meditation. 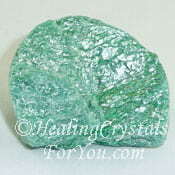 It makes a fast connection to the heart chakra, and has a beautiful relaxing and soothing vibration. 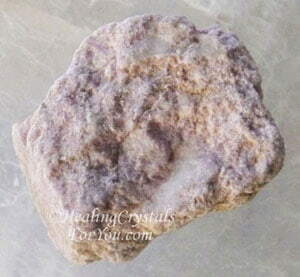 Like other Cookeite stones it works well as a protective stone and as it is quartz you may choose to program it to boost the protective energy, especially if you have any specific concerns. 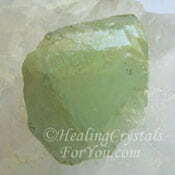 It is also known to aid with mediumship, and is said to help you to make a better connection with those on the other side. 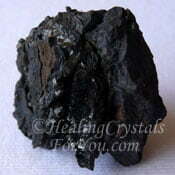 It also has beneficial healing properties, and may be helpful to use for those with heart related health issues. "What we think we become. " Buddha. 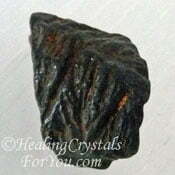 As mentioned above, this stone is a strong protection stone that forms an impenetrable barrier when held or kept on you. 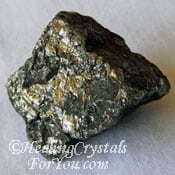 If you feel you have a need for a barrier to protect you, you could also use it in combination with Aegirine, Pyrolusite, Aurichalcite, Tantalite, Bowenite also known as Maori Greenstone or Black Tourmaline which are also highly protective. 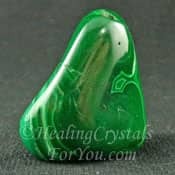 To assist you with difficult to solve problems, it may be helpful to combine it with some of the other stones that aid problem solving. 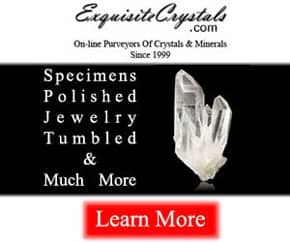 Some of the stones that may be helpful includes Ulexite, Tourmilated Quartz, Datolite, Afghanite, Sphene aka Titanite, Blue Muscovite, Cassiterite, Stilbite, Scapolite or Pyrolusite. 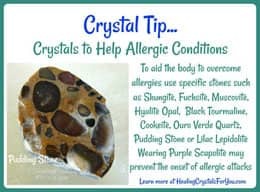 To assist the action of this stone to help you if you have allergies, there are a number of other minerals that can be used alongside this stone to help the body to overcome allergies. 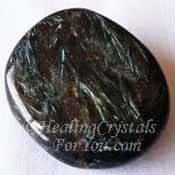 Using this stone along with Black Tourmaline, Pudding Stone, Shungite, Fuchsite, Muscovite, Hyalite Opal, Spessartine Garnet, Ouro Verde Quartz or Lilac Lepidolite may be beneficial. 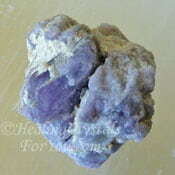 Carrying Purple Scapolite is also said to help to prevent you from having allergic conditions. 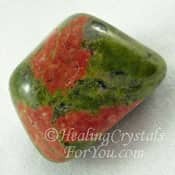 As this stone has a good action to stimulate sales, if you need help with this area of your life use it with Cinnabar stones as they are known to boost sales in a business. If you have been suffering from insomnia, you may like to use them in combination with other strong stones that aid you to sleep better. 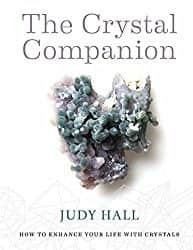 While this is a crystal for sleep that will help you to sleep better when used alone, it may also benefit you to combine it with other stones that have a restful energy that create better sleep. 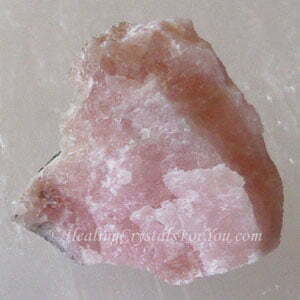 For this purpose you could use it with calming stones that are known to also help you to sleep, such as Scolecite, Unakite, Stilbite, Arfvedsonite, Afghanite, Kinoite, Howlite, Zircon or Amethyst Crystals. 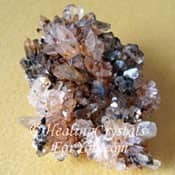 If you been suffering with muscle spasms you may find the energy of this crystal to be helpful, and using it with other stones that are also known to aid this type of problem may also assist you. 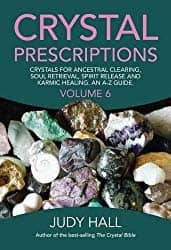 So if have need of its healing action to assist with muscle spasms, you may choose to combine it with any of the other stones with this same attribute. 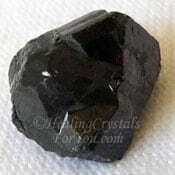 Stones to use includes Graphite, Malachite, Creedite, Amber, Gyrolite, Black Tourmaline, Kammererite, Jet, Pyrrhotite, Graphite, Euclase, Aventurine or Magnetite.